UK department store, John Lewis, has tried and tested multiple innovation tactics in order to disrupt itself and meet the needs of the modern customer-led, omnichannel environment. And it’s gained international kudos as a result. 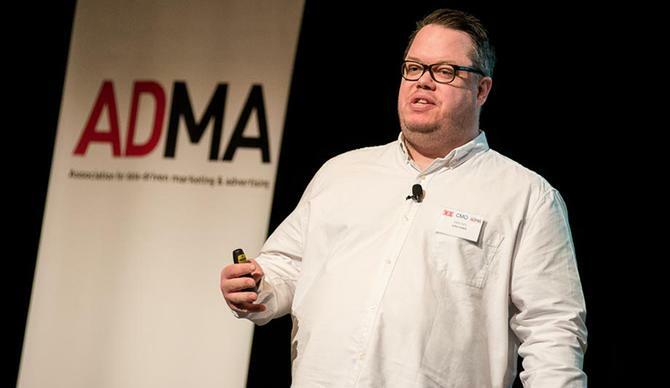 The retail group’s innovation manager, John Vary, took to the stage at this week’s Executive Connections event, hosted by CMO, CIO and ADMA in Sydney, to reveal a host of key projects and operational step changes that are allowing innovation to flourish inside the organisation. For Vary, one of the key things when formulating any new idea is to ask how it makes the customer feel. At John Lewis, Vary said his goal is to allow story to drive technology and provide multi-sensory experiences for the customer. One innovative idea Vary’s team recently rolled out is a ‘head of design’ for the company’s new home department on Oxford Street in London. The 2.5 metre-physical head contained an app that used psychometric testing to determine what interior home style customers would like. The team further developed a piece of software using satellite imaging technology that brought customers’ favourite toys ‘to life’ via a digital screen. ‘Monty’s magical toy machine’ was designed to drive customer engagement and connectivity with John Lewis’ toy merchandise. More recently, John Lewis worked closely with the UK Government’s innovation agency on a virtual reality project to try and encourage innovation in that space. Another way Vary’s team has been instrumental in customer engagement was in a promotion for premium international makeup brand, Charlotte Tilbury, in-store, using a creative digital booth and window installation. “We created a gif booth so you could go in, have your makeover and then create a gif celebrating your new makeup look,” he explained. “You could then forward it to yourself and share that on social media. What we also did was give these customers the opportunity to have their name in our window and their faces. We took over two giant screens in Oxford Street and once the customer saved the gif it was also published on the window. Most of John Lewis’ cutting-edge innovation happens in a basement office called ‘Room Y’. But while he may be in the thick of innovation, Vary warned others against being too caught up in buzzwords and phrases around innovation, like ‘start with the customer’ or ‘think about the status quo’. Innovation isn’t just restricted to the internal team, either. Last year, John Lewis rolled out ‘JLab’, an environment where innovators from around the world can pitch their ideas. First-year JLAB competition winner was Melbourne-based tech business, Localz, which created a beacon that could tell retailers when a customer has walked into a store based on their phone signal and digital identity.